TAMIU celebrated this year’s Mexican Independence Day by bringing the “El Grito” celebration directly to TAMIU students. Contrary to popular belief, Cinco de Mayo is not Mexico’s Independence Day. It is actually Sept. 16 that commemorates Mexico’s Independence. 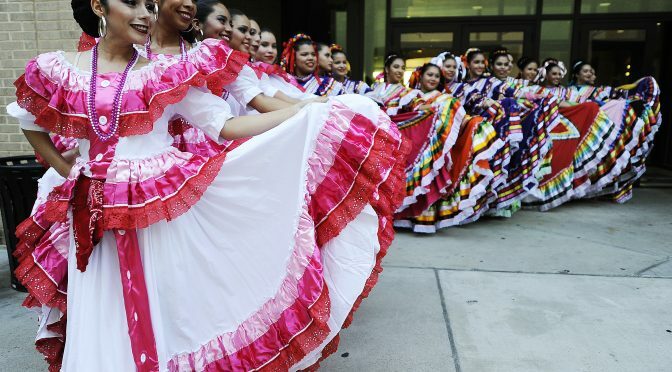 The “El Grito” ceremony is used as an acknowledgment of a call to arms known as “El Grito de Dolores.” In Mexico, this celebration signifies their victory over Spain from a decade-long war; whereas here in Laredo, its intent is to celebrate close ties to Mexico. Melody Mata (left), senior psychology major, and other women dress in traditional Mexican attire during the campus El Grito event Thursday evening, Sept. 14, 2017, outside the Student Center. 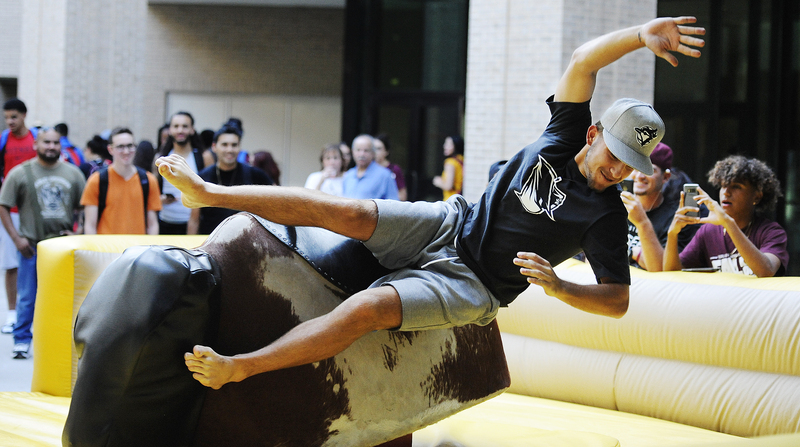 Landon Cooper, freshman kinesiology major, flies off of a mechanical bull during the campus El Grito event Thursday evening, Sept. 14, 2017, outside the Student Center. 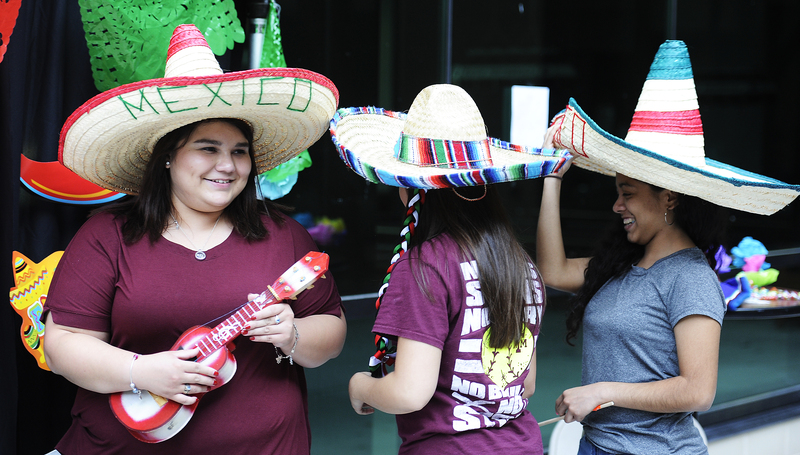 Freshmen (from left) Emily Alvarado, nursing major, Julissa Chapa, business major, and Victoria Araiza, biology major, put on sombreros and other traditional Mexican accoutrements before posing for a photo during the campus El Grito event Thursday evening, Sept. 14, 2017, outside the Student Center. 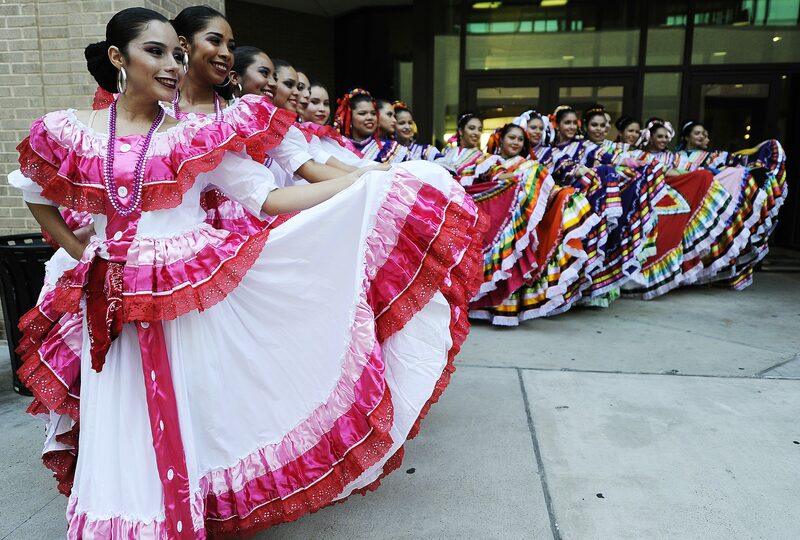 Dancers and a mariachi band perform a traditional Mexican number during the campus El Grito event Sept. 14, 2017, in the Student Center. 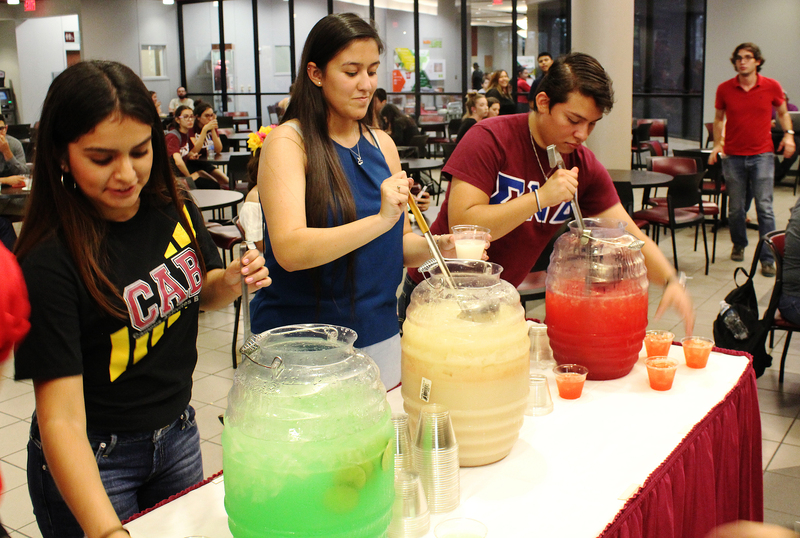 Students serve up a variety of punches during the campus El Grito event Sept. 14, 2017, in the Student Center. 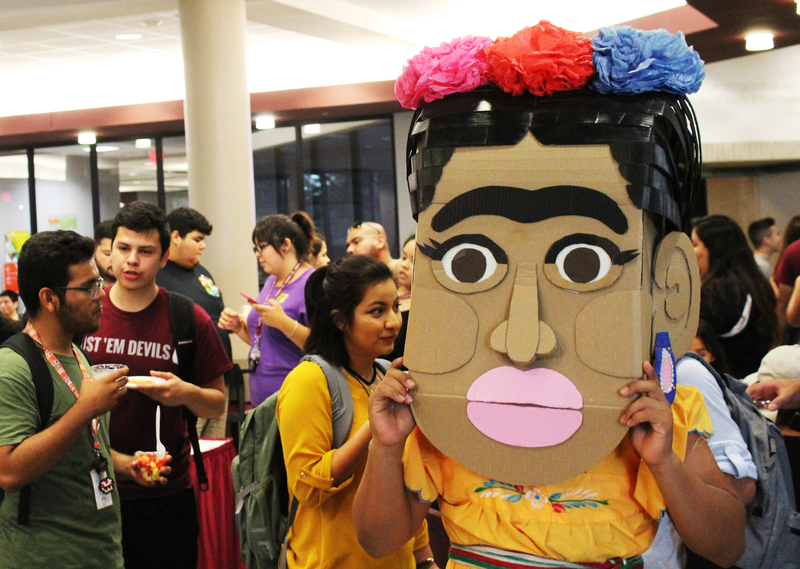 A student wears a mask during the campus El Grito event Sept. 14, 2017, in the Student Center. Photos by Jonathan Ramos and T. Rob Brown. This event was held inside the Student Center and in the outdoor rotunda. Students were treated to a wide variety of snacks: cinnamon churros; carne asada tacos with onion, cilantro and salsa toppings; and authentic aguas frescas. 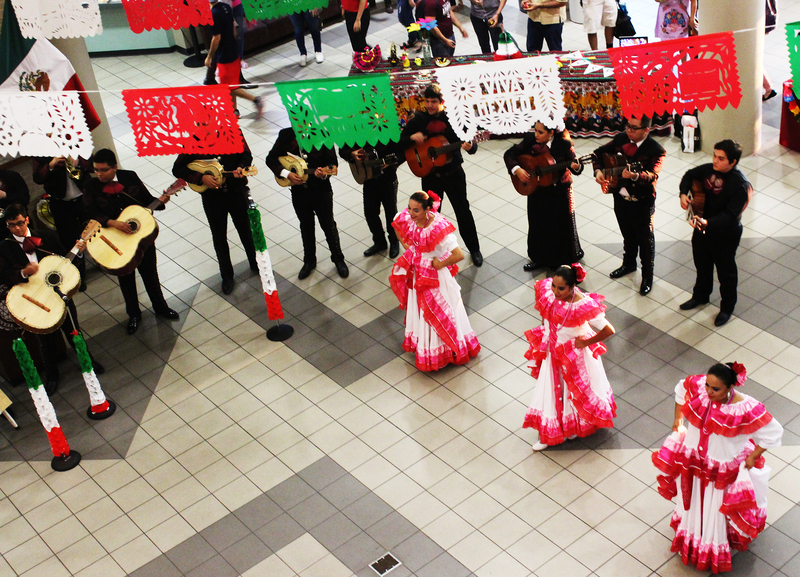 The Student Center was filled with traditional Mexican decorations and Mexican music played throughout the event. After everyone had complementary food and beverages, the entertainment began. The more adventurous took a spin on the mechanical bull to test their endurance. Live entertainment included a mariachi band playing historical numbers to set the mood for a group of traditional Mexican dancers. TAMIU’s international students were able to get a small taste of life below the border.